Universal Music Group officially announced today (2/29) the appointment of Mike Dungan to Chairman & CEO of Universal Music Nashville Entertainment. The move was first reported by MusicRow on Feb. 24. He will succeed current Chairman & CEO Luke Lewis, who has decided to focus on launching a new music venture in partnership with UMG, with details to be announced shortly. 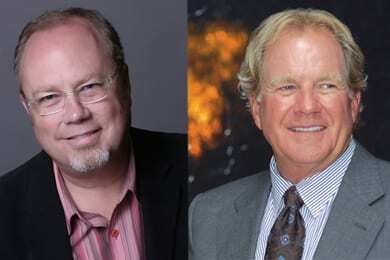 Lewis will continue to lead UMG Nashville until Dungan takes office starting May 1. The announcement was made today by Lucian Grainge, Chairman & CEO of UMG, and Zach Horowitz, President & COO of the company, to whom Dungan co-reports. “I am thrilled to join the Universal team, honored to represent the fine roster of artists under the storied MCA, Mercury, and Lost Highway labels, and proud to have the opportunity to expand on the great legacy that Luke Lewis has built,” said Dungan. Credited as one of the leading executives behind country music’s broadening appeal, Dungan has for the last twelve years served as President & CEO of Capitol Nashville, where he assembled a stylistically diverse roster of superstars, including Lady Antebellum, Alan Jackson, Keith Urban, Darius Rucker, Dierks Bentley, Eric Church, and Luke Bryan. Dungan joined Capitol following time as Senior Vice President and General Manager for Arista Nashville. He was instrumental in developing the careers of artists including Alan Jackson, Brooks & Dunn, Brad Paisley, Pam Tillis, Diamond Rio, and BlackHawk. Prior to that he held a variety of promotion, sales, and marketing positions with Arista, RCA Records and BMG Distribution.